Attention Beauty Lovers. Welcome to the first Beauties On Fire themed link-up. If you don’t know about Beauties on Fire, make sure to check out this post. Our first theme was decided via a Twitter poll. Anyone could vote and our winner was…”Classic Beauty.” All the AMAZING #beautiesonfire members have written posts with their own spin on “classic beauty.” My post is all about Grace Kelly. Make sure you check out all the links below and show some love (come back often to see which bloggers have posted). They are seriously so amazing. I know you will love reading them as much I have. Also, we are always excepting new members and anyone can join (see post above or rules below). When I think of a “classic beauty,” I think of Grace Kelly. She is so gorgeous and elegant. I took a fun quiz titled, “Which Classic Beauty Are You?” My answer was Diana Ross. I love her too, but I would have a difficult time recreating her look. My mom’s answer was Grace Kelly and that is who I decided to recreate. Note: You can totally take the quiz too. I would love to know which classic beauty you are (make sure to leave your answers in the comments below)! For this post, I will be recreating Grace Kelly’s elegant beauty. I will start by explaining a little about her life. I will then proceed with the Becoming Grace Kelly tutorial. To wrap it up, I have a fun bonus that you won’t want to miss. Keep reading to find out what it is! Well, let’s get to it! I created a tutorial on Grace Kelly’s signature look. She has long, thin brows. I love how natural and defined her brows are. They aren’t the very structured brows of today. Her eyes are defined with kohl eyeliner that is smudged. To create her flush, I used a rosy blush. I applied it basically like a contour; sweeping from the ears, down. It was definitely different applying and wearing blush in this way. I finished off her look with a classic red lip. Her red lip is glossy (unlike the matte lips of today) and gorgeous. For her signature hair, I started by curling my hair. I brushed through the curls to give my hair that classic wave effect. I finished by pinning my hair to the base of my neck. I hope you enjoyed the tutorial. Let me know if you recreate the look. Kate gave the suggestion of creating a “classic beauty” makeup bag. I jumped on this and just had to include it in my post. I had so much fun creating the collage and I hope you enjoy it. What do you think would be included in a classic beauty’s makeup bag? Please make sure to read all the linked posts below. We would love for you to show some love and spread the word. Also, share the posts to any of your social media accounts if you enjoyed them. We would love to have you join Beauties On Fire and grow your beauty/fashion blogs with us! You got this look spot on! 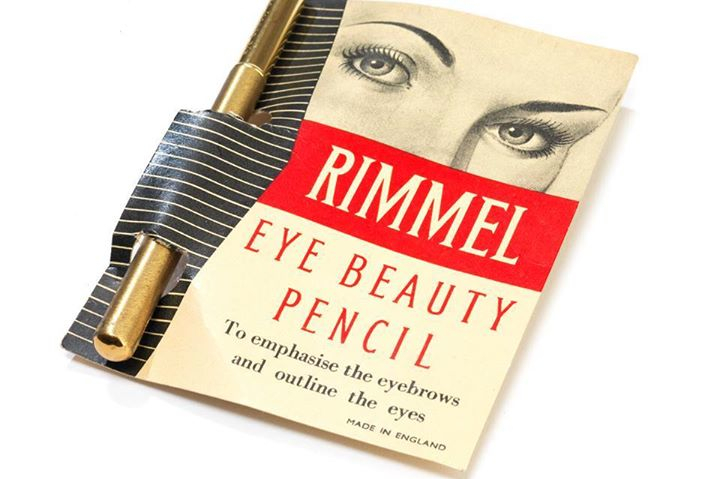 I loved the classic beauty make up bag, it’s so strange seeing things as they used to be and that mascara is ridiculous, certainly gave me a giggle! AWWW thanks so much love!! I had a blast with this theme!!! I loved seeing how makeup used to look! Isn’t it ridiculous!! Like OUCH!! Haha! Thanks so much love!!! This collab is just so much fun haha! Grace is the perfect name for her… she did everything gracefully. This is so great! I’m glad you liked the makeup bag idea 🙂 Looking forward to the next theme! The makeup bag idea was genius!! I had so much fun putting it together!! AWW thanks so much girl!! I need to pluck them haha!! Just loved your look. You are looking so beautiful. I will be soon linking up my post on classic beauty. AWWW thanks love!! I can’t wait to read your post! Just added the link. Was little busy last week due to my birthday celebrations. Hope you will like this look and i have justified this classic beauty look. Yay!!! I can’t wait to read it!! And happy belated birthday girl!! Thank you so much love. Let me know about my look. I am just loving this collaboration 🙂 When is the next theme going live? It is going live on July 28th. You look SO gorgeous!! You did amazing with her makeup and I love the Makeup Bag section. So cute. It looks like you dyed your hair too, I love it. Grace was named properly, she’s one of the best definitions of Beauty! AWWWWW thanks so much love! I had a blast doing the makeup bag section!! It was so much fun!! I can’t wait to check out your post! Love this!!! Grace Kelly is one of my favorite Classics, and you nailed her look! AWWW thanks so much girl!!! I was so nervous trying to recreate her look! AWWWWWW thanks girl!! You have made my day!! I totally didn’t know if I could pull it off. The hair gave me the biggest trouble haha. I have so much hair to pin under haha!! You’re so sweet! Awwww I’m happy I did!!!! Well, I know what you mean…. I had a veeeery hard time doing my hair for this post. I lack hair skills, like a lot! Haha same here! Makeup I get..Hair…O honey, NO!! I envy all those amazing Pinterest girls haha! Me too girl!! It is easy and fun haha! Aww thanks girl!! You’re so sweet!! By the way, I have no idea as to why your posts aren’t showing on my feed even though I’m following you 🙁 ugh but at least I can comment now through WordPress! 🙂 I’ll look into it the posts not showing up. Aw thanks so much love!! It was so much fun to do! I was totally unsure about how it would turn out haha. And yay! I am so glad you can comment now! And for the feed, that is a self-hosted issue. They show up sometimes but not always haha! And okay, I’ll see if the problem sorts itself out then lol. AWW thanks so much girl!!! I can’t wait to read yours!! I love Grace Kelly too! You nailed this look. I can’t wait to see what you come up with next!! She is just so stunning!!! Her look stands the test of time and I love it! AWWW thanks so much girl!! Okay. Thanks for the update. Did you checked myblog post? Not yet, I plan to this evening haha. Working on drafts for this week lol!